Words, phrases and expressions . . . well they are not always so black and white. Add punctuation, such as a question mark or exclamation point and a phrase can take on a new and flavorful meaning. In this modern world of text language, acronyms, and chatting abbreviations, simple familiar acronyms say it all. 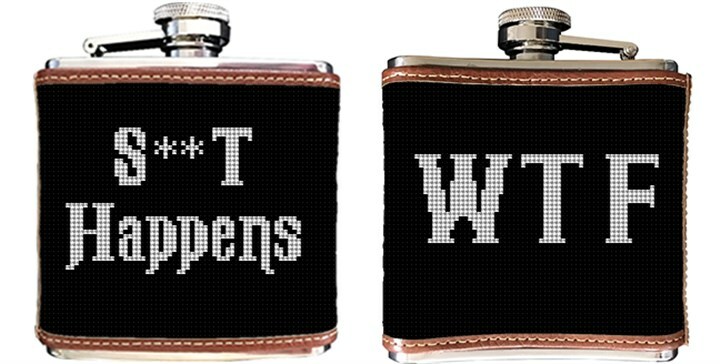 Stitch our needlepoint flask canvas for the language expert in your crowd. You are welcome to replace one phrase with a monogram.